We are a family-based company located in the prestigious Ruxley Manor Garden Centre, in Sidcup, Kent. The Directors have been in the industry since 1998, and we've loved the lifestyle that comes with owning a pool and spa. Our company ethos promotes complete customer care at all stages of the sale, and also, most importantly, the service process. The Hot Tub and Swim Spa Company…. One of the only multiple UK and European award winning swim spa, hot tub, swimming pool and wellness companies. The mission is to deliver the best possible lifestyle products and services, now and in the years ahead. Specialising in technology – driven, quality products, delivered and maintained by reliable and factory – trained, in house staff. 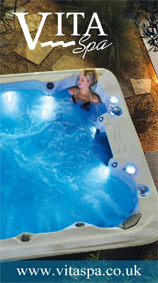 The Hot Tub and Swim Spa Company values are to deliver the best possible product to you, using the best possible products to you, using specialist expertise and experience. 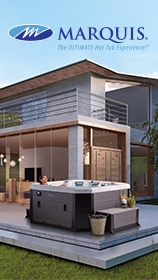 Put simply, The Hot Tub and Swim Spa Company will work with you in designing your home, garden or commercial spa, aesthetically and with creativity. Ground or building works can be carried out, including electrical installation and crane- ins, if required. Servicing and maintenance will be expertly delivered in the years ahead. Our philosophy is that through hard work and attention to detail, our customers will benefit from the finest possible therapy. Let us creatively realise your dreams, and let us take care of everything. We live once, so let’s live well, and feel on holiday all year round.